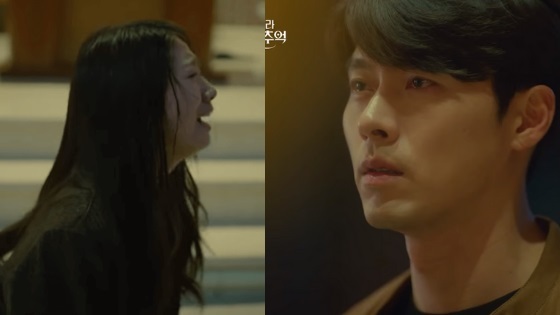 As a follow up to the first article I have written about a year ago, I have received many submissions from fans who wanted to add more kdramas to the list of the most heartbreaking disappointing kdramas endings of all time. The list below is selected by you guys, if you have any more dramas you’d like to add to the list please let me know in the comments section below. The drama is an old kdrama and one of the first to receive so much love from the international audience, however, the drama ending had people in tears wondering why it didn’t end up as they had hoped it would. The drama cast includes Ha Ji Won, So Ji Sub and Jo In Sung. Those three characters engage in a very brutal love triangle that ends with the death of the three main characters. Jo In Sung’s character hunts down Ha Ji Won and So Ji Sub after he thought they had eloped together, he finds them in a bed together and with the gun in his hands he shoots them both killing them almost instantly. Before her character dies, Ha Ji Won tells Jo In Sung’s character that she loves him, when he wakes up from his rage and sees her crying while dying he can’t contain himself. He ends up going to the beach next to the room he found them both in, he shoots himself there as well. Its very rare to find a kdrama where the three male leads all die, it was one of the most heartbreaking kdramas ever seen by kdrama fans. It tells the story of a mother that goes back in time to bring her dead child to life, Cho Seung Woo’s character helps her. Judging from the plot description itself its not unlikely to assume the ending will not be that okay. This ending had people disappointed because many of them didn’t think it fit the entire story line. The ending seemed rush and abrupt for many fans and they were let down with how things turned out to be. The ending was left open; Cho Seung Woo’s character who tries to uncover the truth behind the child’s death in order to save her probably ends up dead. The story plays in a way that kind of explains its either him or the kid will have to die eventually. The child does return to her mother in the end and we’re left with the open ending that suggests Cho Seung Woo’s character died. Fans don’t know whether he ends up alive or dead for sure after the entire ordeal. Fas consider this drama ending beside the overall plot holes very disappointing and uncalled for. “49 Days” is considered one of the best heartbreaking kdramas of all time. Fans thought the ending was brutal nonetheless befitting. It’s a melodrama that will have you crying your eyes out, its also considered highly underrated. Without going into too many details Ji Hyun (played by Nam Gyu Ri) almost dies in a car crash, fall into a coma and gets transferred into the body of a suicidal woman Lee Kyung (played by Lee Yo Won) that isn’t happy with her life. A messenger from god sees Ji Hyun soul and tells her if she finds three people who will genuinely shed tears over her in the next 49 days she will awake from her coma and live. Sadly, in the end Ji Hyun (Nam Gyu Ri) character dies while Lee Kyung (played by Lee Yo Won) lives on, the two characters help each other. Lee Kyung helps Ji Hyun move on to the next life without any regrets while Ji Hyun helps Lee Kyung find a reason to live. “Queen For 7 Days” almost instantly establishes itself as a drama that will make you cry in almost every episode. Its led by Park Min Young, Yeon Woo Jin and Lee Dong Gun. The drama tells the love story between a king (Yeon Woo Jin) and a queen (Park Min Young), it takes an awfully tragic turn. In the end, the queen sacrifices her position because of her love to the king, they both end up living apart unable to live together despite their immense love for each other. They do end up reuniting 39 years later both very old one last time. The drama ending was very heartbreaking, fans cried a lot because of how it ended but the sequences of the last episodes made fans very happy. Although it was a very sad ending it wasn’t disappointing just heartbreaking and true. True love doesn’t always mean you’ll end up spending your time with the person you love. This was a highly requested drama to go under the most-disappointing kdrama endings of all time. “Fashion King” included the best cast; it had Yoo Ah In, Shin Se Kyung, and Lee Je Hoon. However, the plot, as well as the ending, made fans furious some going as far to crown it the worst kdrama they have seen in recent years. It tells the story of four people in the high-end fashion industry. Many fans slapped this drama as poorly written, the ending of the drama didn’t make it any better. In the end, Yoo Ah In’s character drunkenly dials Shin Se Kyung’s character while in a Jacuzzi to tell her he misses her, he ends up shot dead by a random man while talking on the phone to the woman he loves. If you want to cry a lot while watching a good kdrama watch this one. “Stairway To Heaven” boasts great cast: Kim Tae Hee, Choi Ji Woo, and Kwon Sang Woo. Its considered one of the best kdramas of all time. However, the ending was extremely heartbreaking! It tells the story of Song Joo (Kwon Sang woo) and Jung Seo (Choi Ji woo), two people who were destined for each other. Time goes by and eventually when they grow older and separate. Jung Seo then sadly is involved in a car accident that causes her amnesia, she cannot remember the love of her life or even her name, the story follows her. By the end, Jung Seo gets diagnosed with cancer in her eyes but it had spread to her head, she has very little time left. Instead of choosing to chase after therapy to prolong her life she decides to spend it with the ones she loves most. Towards the end of her life, she pulls herself together and asks her love Song Joo to take her to the beach; they walk there a lot before sitting down, she lies in his arms and takes her last breath. Another kdrama classic that boast a legendary cast: Song Hye Kyo, Won Bin, Han Chae Young and Song Seung Heon. The drama aired back in 2000 and is credited as one of the first kdramas that helped spread the Hallyu wave. It’s a sad love story that begins with two girls who were swapped at birth one of them led a happy life while the other led a sad life, eventually, the two girls return to their rightful places. In the end, Song Hye Kyo’s character ends up dead of leukemia. Song Seung Heon’s character visits the places they used to frequent; a truck comes along and hits him. He presumed to be dead but the drama never explicitly explains whether he committed suicide or just surrendered to his fate when he saw the truck coming at him. He was miserable after her death and might have followed her soon just like the tragic love story between Romeo and Juliet. Episodes count-wise; “Empress Ki” is the longest kdrama on this list. It has 51 episodes and was extremely successful in South Korea and overseas. 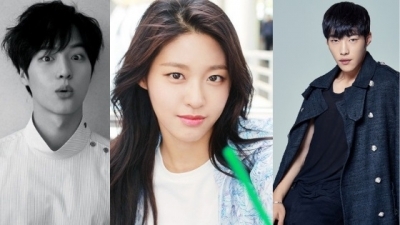 Ji Chang Wook, Joo Jin Mo and Ha Ji Won and others lead this drama. Ha Ji Won ends up in a love triangle between Ta Hwan (Ji Chang Wook) and Wang (Joo Jin Mo). Both fall in love with her but it ends tragically. In efforts to protect his woman, Ta Hwan kills off Wang. He also ends up drinking the poison that was meant for her, choosing to die for her after all his wrongful deeds. He ends up dead in her arms after the two profess their love for each other. Some fans think her true love was Wang while others are convinced it was Ta Hwan. Some people loved the ending but thought it was heartbreaking while others called the ending disappointing. “Hwayugi” is the most recent drama on our list, it aired earlier this year. 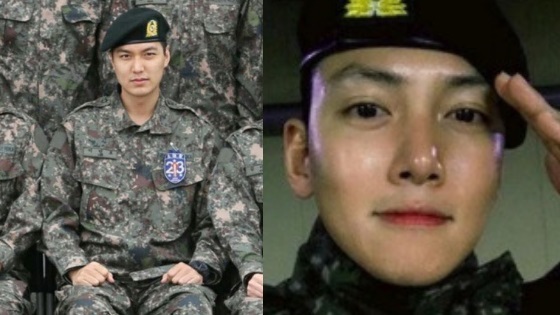 It was highly anticipated because it marked Lee Seung Gi’s return to the small screen following his military discharge. Lee Seung Gi, Cha Seung Won, and Oh Yeon Seo lead the fictional drama. It tells the story of finding light in a dark world where evils exist everywhere. Throughout the course of the drama you quickly find out that Oh Yeon Seo’s character must sacrifice herself for the fate of humanity, so it was already expected that the ending wasn’t going to be a nice one. Eventually, the drama kills off Oh Yeon Seo’s character before Lee Seung Gi’s character could do anything about it. The final fighting scene felt rushed, heavily saturated with bad CGI and anticlimactic. Many kdrama fans loved the drama throughout its runtime but unfortunately, the death of Oh Yeon Seo’s character and the lack of a happy ending to any main character rubbed fans the wrong way. Lee Se Young’s character also ends up dead killed off by Lee Hong Ki’s character. Besides being a heartbreaking ending, fans believe it was completely disappointing. Oooh Stairway to Heaven… It was broadcasted in my country one summer. That’s how I got into kdramas (and later kpop). But you forgot to add the fact that her stepbrother killed himself for the mere purpose of donating her his eyes for about a week. I definitely will not watch any of those dramas in this list. I want to watch kdrama to be entertained – not to feel sadness. Reality is difficult as it is, why immerse in fiction and feel even more crappy? I do understand why you won’t watch these but personally I find sad ending justifiable sometimes. sometimes, reality is harsh and not kind, sometimes people are jerks and they do bad things. You can add to your list “MR. SUNSHINE. I really loved the story, only to be disappointed on the last episode. The leading male character gave me the impression of a very smart and sensible man. But the way he died….. really? Such a stupid move. A man like him could have done better to save his life for his love one. He had an ace on his grip. Why would he jump on the other half of the train??!!!!! He and his hostage could have just stayed on the other half and leave the japs on the other. They would not have come after them after he had splitte the train into two. 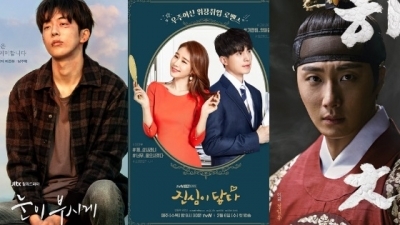 I think Moon Lovers: Scarlet Heart Ryeo should be on this list as well. I guess you can add Hundred Million Stars From The Sky also called as The Smile Has Left Your Eyes had a sad ending which was not at all expected by the viewers.